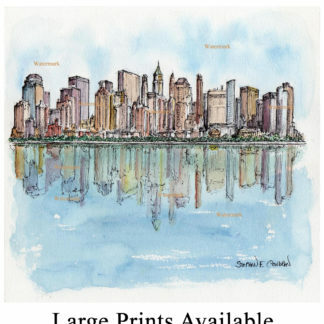 Lower Manhattan skyline watercolor reflecting in Upper Bay. 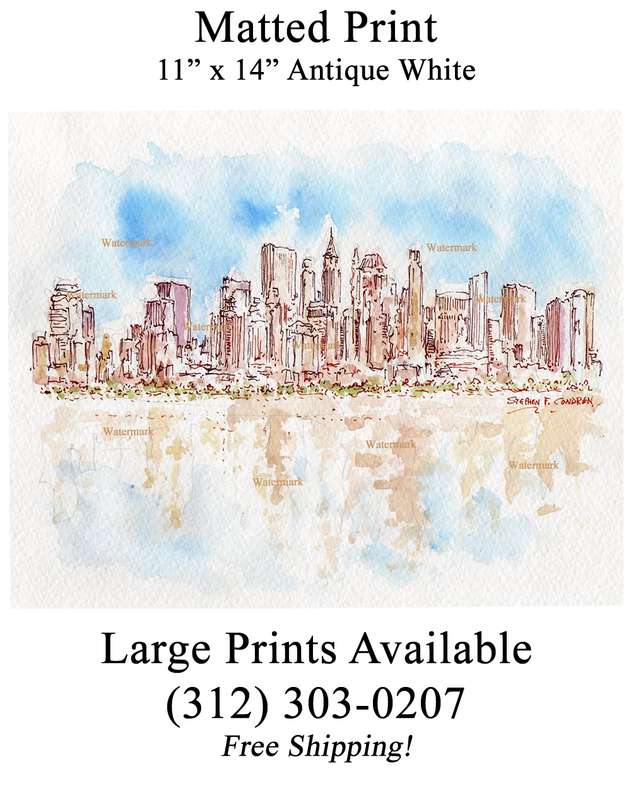 Lower Manhattan skyline #835A pen & ink watercolor cityscape painting, which is for sale here, at discount with prints by artist Stephen F. Condren, SAIC, of Condren Galleries, a Fine Arts Gallery, offering JPEG & PDF prints. 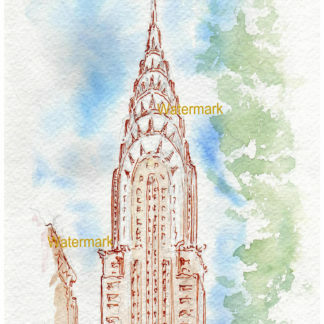 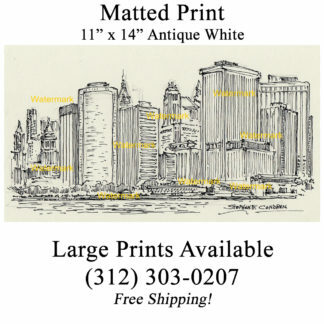 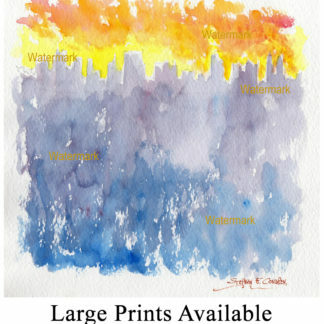 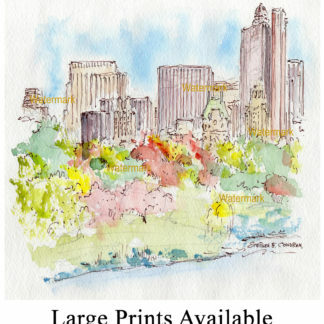 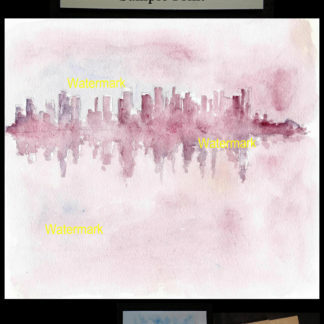 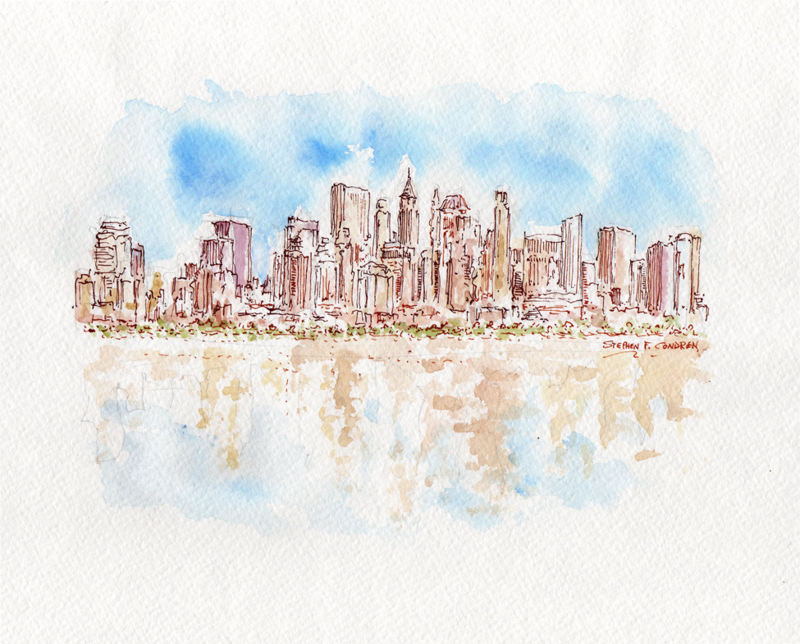 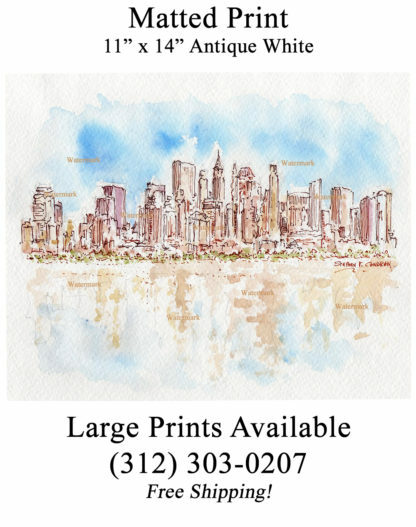 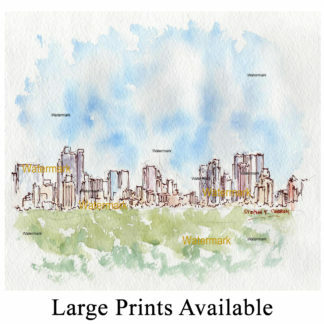 Watercolor of downtown Manhattan skyline. 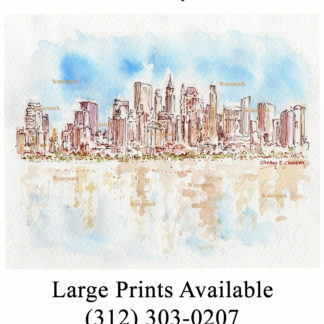 The Lower Manhattan Island skyline is the gathering of some of the tallest buildings in the world into a small space at the southern end of the island. 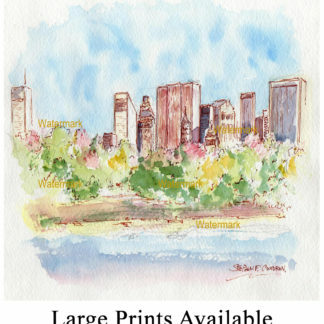 This area is the financial district and the pulse of the United States economy. 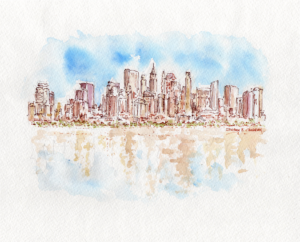 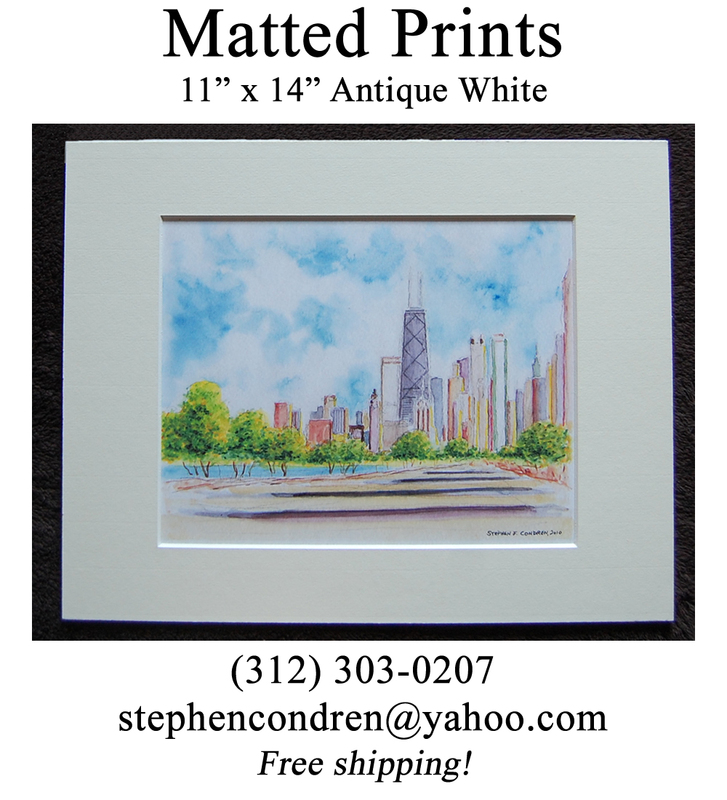 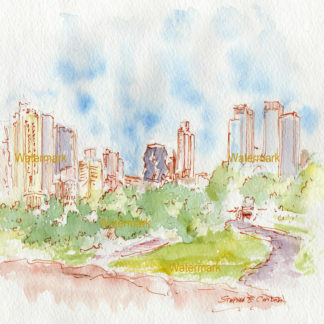 This watercolor amply reflects the towering strength of this mighty city. 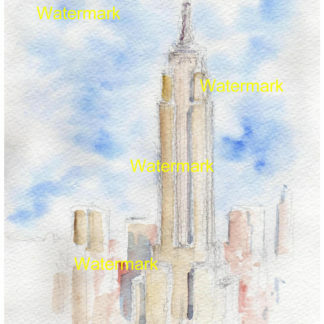 Manhattan Island is a borough of New York City, New York.